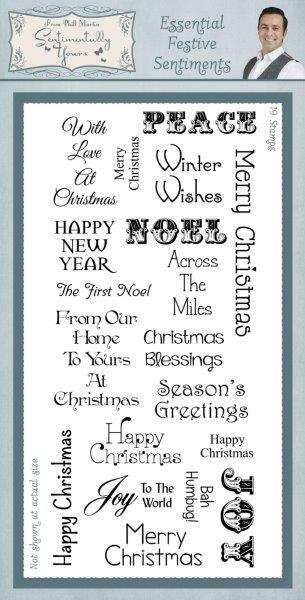 The Essential Festive Sentiments stamp set is a set of 19 Christmas sentiment stamps. The stamps in different fonts and sizes cover a range of greetings for the festive season and will definitely become your go to stamp set for Christmas card making. Size 9 x 20cm overall.